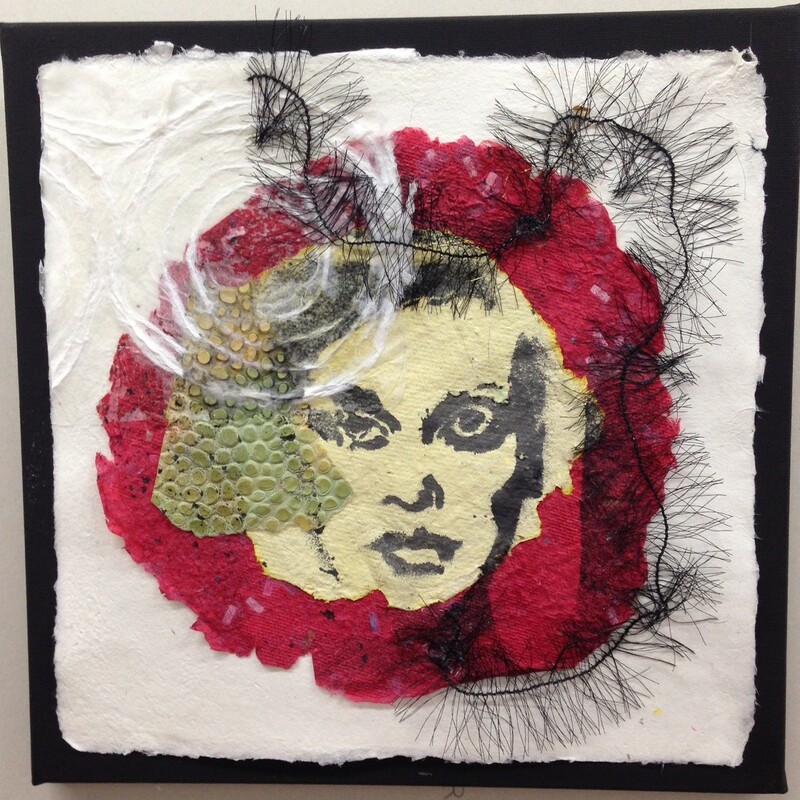 Sharon is a mixed-media artist specializing in collage and assemblage. Raised in New Jersey, she currently resides in Washington, DC, after 33 years of residency between Boston, Los Angeles, and Portland, OR. She earned a master’s degree in city planning from MIT, and worked in the transit and urban design field for over 20 years. 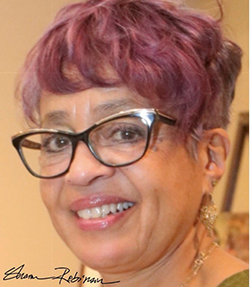 Since 1999, she has been a full-time artist, muralist, teacher, and arts program contractor. 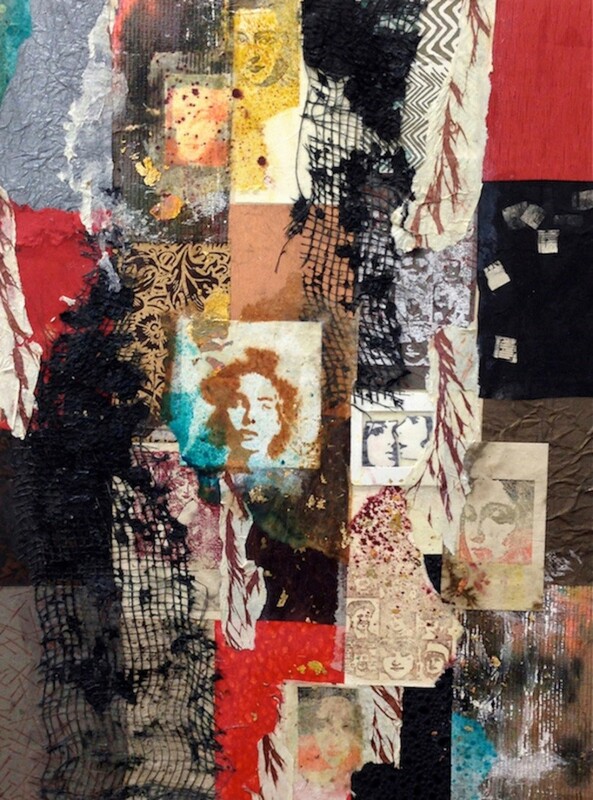 As an artist, she exhibits in Washington, DC, as well as other east and west coast cities. Sharon also teaches at The Art League in Alexandria, VA. Recently she served as Director of SCRAP DC, a non-profit creative re-use center, and now serves on SCRAP’s national Board of Directors. 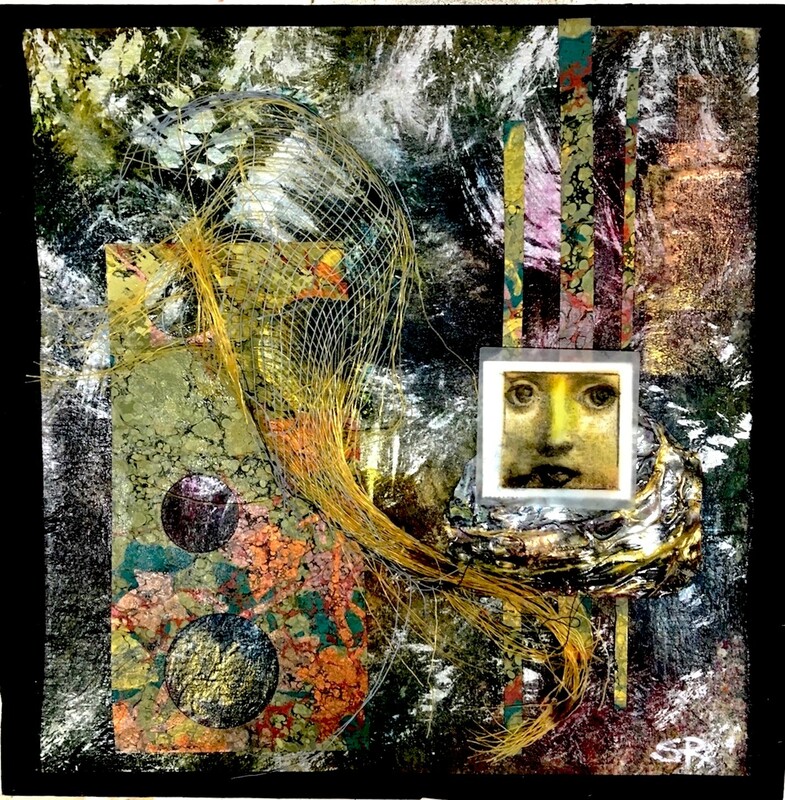 The primary inspiration for my art is creating a visual expression of the elements of life that connect us as human beings and illuminate the true self. I am most drawn to themes addressing cultural integration, how we define ourselves in relation to others, and biases that cause misunderstanding. 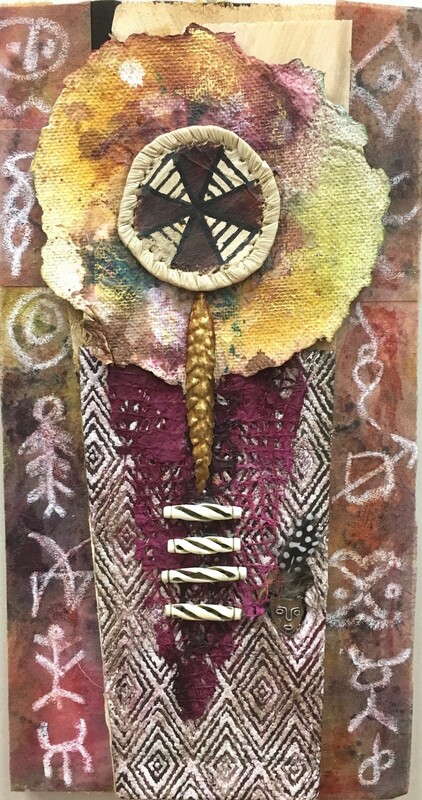 I often use cultural motifs, symbols, text and related representations of ethnic, religious and racial identity. None of us can claim to be pure anything—we are only the latest version of millennia of mixing, matching, migrating, and mingling. I layer materials both literally and figuratively, most often with metallic elements, to provide depth and dimension and reflect light. This approach allows me to construct a visual interpretation of the richness of the fabric of life and my own version of timeless themes.